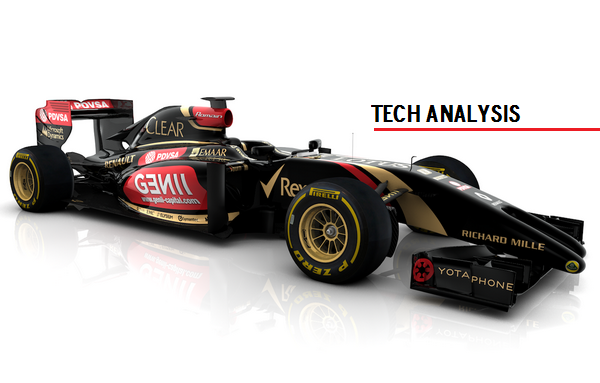 My analysis of the Lotus E22 – including that nose – on Richland F1, here. As the MP4-29 was an official launch there will be a full, extensive analysis of it on my blog over the coming days. It will most likely be up tomorrow as I’ve had one hell of a day with school, car write-ups, work etc. The post on here will include some of my own drawings, so stay tuned! This entry was posted in Announcements and tagged 2014, analysis, car, e22, f1, lotus, technical on January 24, 2014 by thewptformula.